Tempting Product ImagesVM API !MULTI! 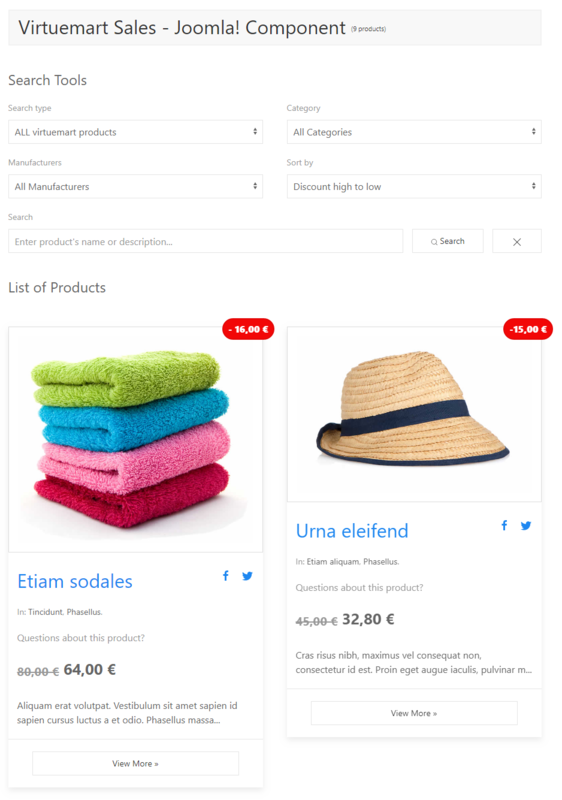 We needed a better search tool for a better display of discounted products, for Virtuemart joomla! component. The 'Virtuemart Sales' is here for you. 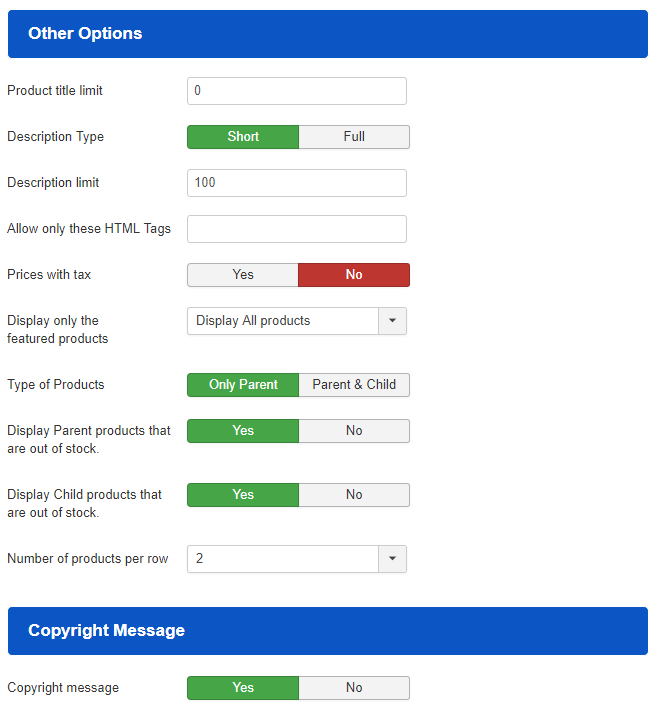 Image Interactivity (On click view slideshow or go directly to the product details). Currency (Select your currency and its position). Colors (Change the colors for the header background or through css file). 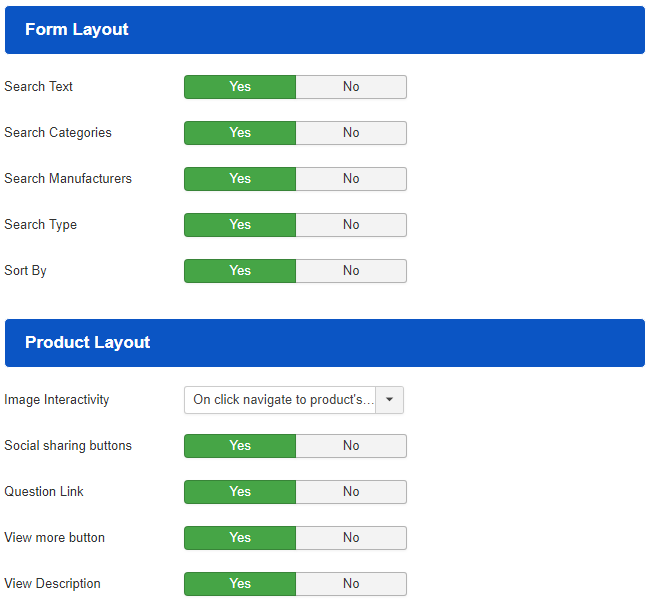 Include or Exclude products or categories (Enter the included or excluded ids of products and categories separated by comma). 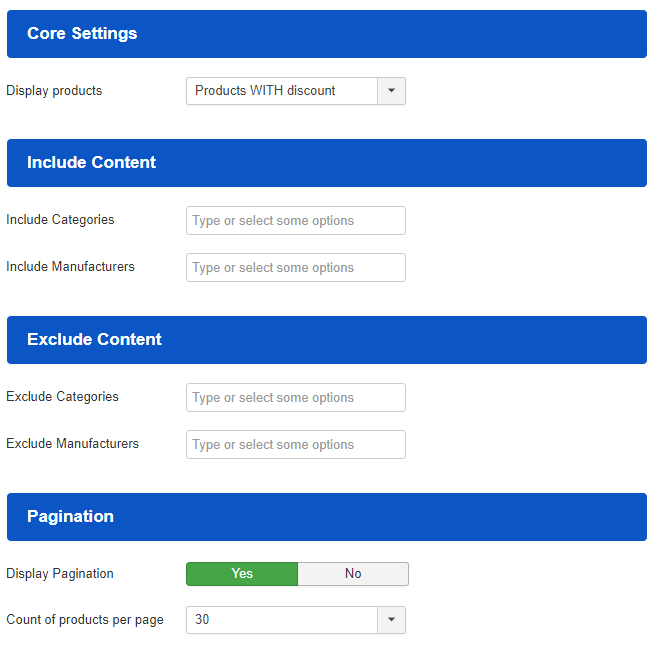 Full configuration in parameters, at joomla! back-end. You can change everything! (See the screenshots above).